- CONVENIENCE PACK!! - NAV!! - HEATED SEATS!! - MOONROOF! !This BMW includes: APPLE CARPLAY COMPATIBILITY Smart Device Integration DARK OLIVE METALLIC HEATED FRONT SEATS Heated Steering Wheel Heated Front Seat(s) FINE-WOOD OAK GRAIN TRIM W/PEARL CHROME ACCENT Woodgrain Interior Trim NAVIGATION BUSINESS Smart Device Integration Navigation System CONVENIENCE PACKAGE Keyless Start HD Radio Hands-Free Liftgate Auto-Dimming Rearview Mirror Universal Garage Door Opener Power Passenger Seat Generic Sun/Moonroof Power Driver Seat Satellite Radio Power Door Locks Keyless Entry Passenger Adjustable Lumbar Sun/Moonroof Power Folding Mirrors Driver Adjustable Lumbar Remote Trunk Release Dual Moonroof *Note - For third party subscriptions or services, please contact the dealer for more information. * When you purchase a vehicle with the CARFAX Buyback Guarantee, you're getting what you paid for. This vehicle has met or exceed our standards of excellence and is being sold as a Certified Pre-owned BMW X2 xDrive28i. This SUV gives you versatility, style and comfort all in one vehicle. 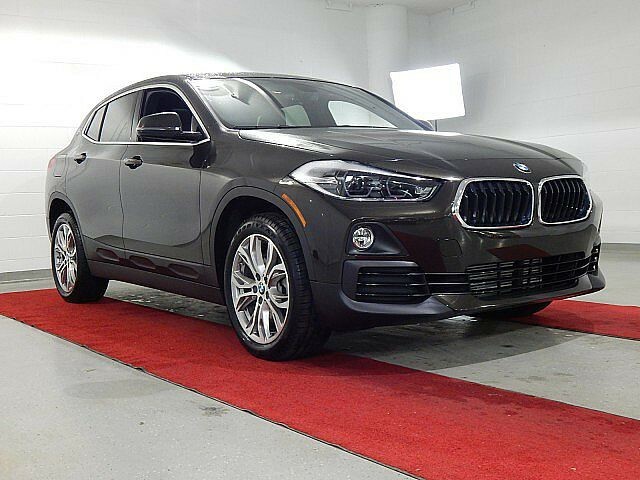 Take home this 2018 BMW X2 xDrive28i and enjoy the safety and added performance of AWD. Find the quickest driving route in this BMW X2 xDrive28i - CONVENIENCE PACK!! - NAV!! - HEATED SEATS!! - MOONROOF!! using the installed navigation system. This nav system is one of the easiest to use and will help get you where you need to go quickly! We look forward to seeing you soon! Please call us for more information.